As the name suggests, Muhurat trading is the trading activity within the Indian stock exchange on the auspicious occasion of Diwali (Deepawali), a big festival for people of India. Usually, it’s held throughout the evening hour and is announced by the stock market exchanges notifying traders and investors of the non-scheduled trading hour. This hour originates from Gujarati tradition (a dominant sect of individuals in Dalal Street) who perform similar trading on hours of Diwali. Muhurat trading trades are nominal, sometimes bought as a token to celebrate; and intraday profits, but small, are invariably reserved. For the trading communities of North India, the new fiscal year begins with Diwali. A puja is performed to accounts books and safes on Dhanteras on Diwali day to suggest the start of a brand new year. A coin – that signifies wealth – is placed on the account books before the puja. 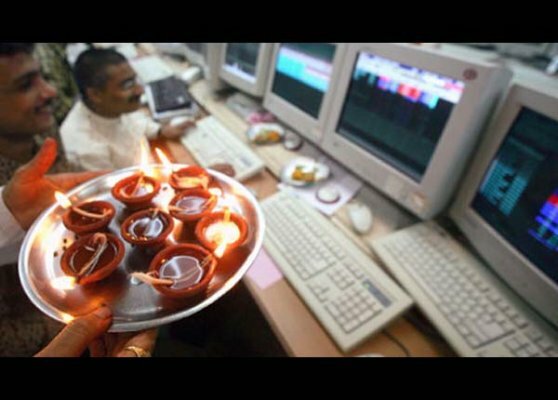 Stock-brokers perform ‘Lakshmi Puja’ at the exchange and therefore the customary Muhurat trading takes place. As Diwali conjointly marks the start of the year, it’s believed that Muhurat trading on this day brings in wealth and prosperity throughout the year. An auspicious day is thus created on this day of the year. Trades created on this day are more for traditional, spiritual and emotional reasons, Brokers and investors can build token investments and frequently hold the stock for a year around. Thanks to the bias towards buy orders instead of sell orders, markets have usually concluded on a positive note on this day, though by a small margin. However, the next day after the Muhurat trading day, the market has usually seen a rally. If you, too, need to form that token investment or expertise some thrill on Muhurat trading day, go ahead, however it’s imperative that you just base your buying decision on careful analysis and fundamental attributes to build a long-term portfolio of shares. For long-term investors, there’s no real profit in trading on Muhurat day. Don’t be misled by promises of bountiful profits on investments made during this session. When picking a stock, ensure it’s supported by sound analysis and not driven by irrational sentiment alone. And don’t get frantic by the predictions that a decent Muhurat session augurs well for the entire year. Historical data suggests that there is no definite correlation between returns on the day of Muhurat trading and consequent movements within the market. Since the stock market is closed on Diwali day, stock prices tend to move within the Muhurat session to reflect the global and domestic news-flow. In recent years foreign investors to have been active in these sessions. While Muhurat Trading is a good way to start the New Year – ensure you invest good, keeping in mind the long-term prospects of the stock. Note: This year, Muhurat Trading shall be held on Wednesday, November 07, 2018 (Diwali – Laxmi Pujan). This entry was posted in Uncategorized and tagged BSE, Diwali, investment, Muhurat trading, Muhurat Trading 2018, Nifty, nse, Sensex, Stock brokers, Trading Day. Bookmark the permalink.